How Far is Pristine Elegance? About Project:. Pristine Elegance is an ultimate reflection of the urban chic lifestyle located in Mangammanapalya, Bangalore. The project hosts in its lap exclusively designed Residential Apartments, each being an epitome of elegance and simplicity. About Locality:. Located at Mangammanapalya in Bangalore, Pristine Elegance is inspiring in design, stirring in luxury and enveloped by verdant surroundings. Pristine Elegance is in troupe with many famous schools, hospitals, shopping destinations, tech parks and every civic amenity required, so that you spend less time on the road and more at home. 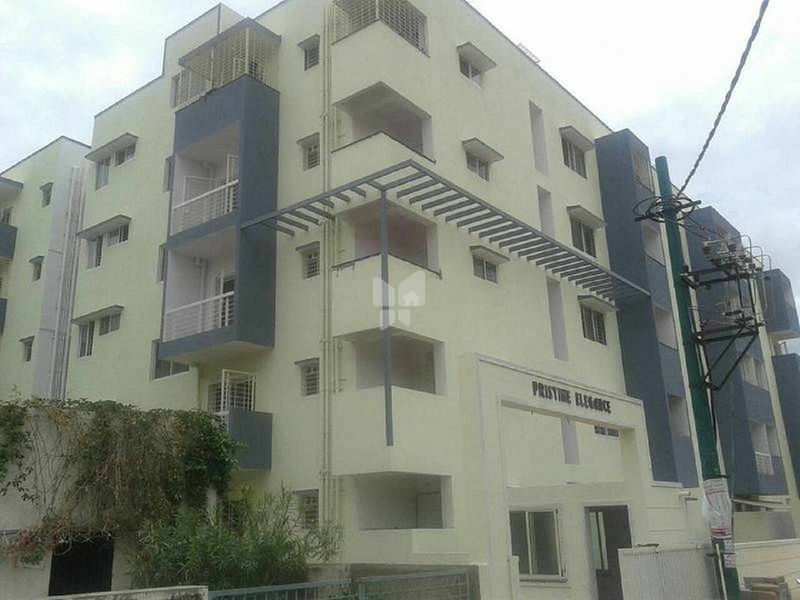 Pristine Properties is a renowned real estate group which was established in the year 1988 with a motive to provide the unparalleled lifestyle to each and every customer. The group has worked diligently for the past 3 decades, to live up to this promise of providing the residents with unmatched quality and service. The group focuses on developing smart projects like luxurious gated communities, lifestyle residential space which comprises Pristine Pacific in Katraj, which offers you ready to occupy 1BHK & 2BHK apartments in Pune, as well as Pristine Prolife II in Wakad, which offers you ready to occupy 2BHK & 3BHK apartments for sale in Pune and Pristine Palm which is located in Sidhart Nagar, Wagholi and it offers you ready to occupy 1BHK & 2BHK apartments for sale in Pune. The group is also into the construction of hospitality projects and functional warehousing facilities that are home to state-of-the-art amenities and eco-friendly innovations. They have established their presence across various prime locations like Pune, through the 5 million sq. ft. that it has constructed, thus ensuring an ideal blend of lifestyle and convenience for its residents.